"Food faddism is a dietary practice based upon an exaggerated belief in the effects of food or nutrition on health and disease." Food faddism is WRONG, because it is an extremist position. Good health is about achieving a proper balance in five areas: diet, nutritional supplements, exercise, attitude, and resilience. Every good thing should be done in moderation. Do NOT be a food faddist! Always be careful in all your health endeavors to never take any one aspect of your health program to an extreme position. There are two required elements to food faddism. Exaggeration: Making wild health claims or having an obsession with only one tiny area of nutrition. There is a difference between believing that whole grains, for example, are good for your health in general. And, in making wild health claims about it curing specific diseases. The problem, here, is the lack of moderation. Belief: A health claim that cannot be supported by scientific research. There is a difference between believing that something is true. And, reasonably supporting your health claim with health research that supports it. The problem, here, is making a therapeutic claim without any scientific research to back it up with. Special attributes of a particular food may cure disease. Certain foods should be eliminated from the diet because they are harmful. Certain foods convey special health benefits. Food faddists are those who follow a particular nutritional practice with [excessive] zeal and whose claims for its benefits are substantially more than science has substantiated." Food faddism has both a positive and a negative side to it. On the positive side, some foods are being prematurely promoted as Superfood, such as soy. While on the negative side, some foods such as Carbs, Grains, or Gluten are wildly being claimed to cause food intolerances, allergies, or sensitivities in everyone. Food faddism is not about having or expressing an interest in using food to improve your health. Accordingly, we would never claim that wellness pioneers like Sylvester Graham, a back to nature 19th century health reformer, should be called a food faddist, especially since scientific research as we now know it did not really exist in his day. Nor, should anybody merely questioning the health value of processed food be called a faddist. To be a true food faddist you have to be making wild claims that cannot be supported by a reasonable amount of scientific evidence. Hence, if you believe that certain foods convey special health benefits, such as containing certain nutrients and vitamins, and can support your position with a reasonable amount of scientific research then you are not a food faddist. However, you can become a food faddist once you start making wild unsupported claims about the ability of certain foods to cure disease. 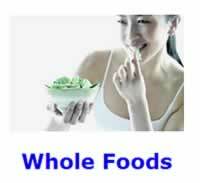 A lot of Food Faddists are obsessed with so called Superfoods, such as soy, raw milk, and royal jelly. The entire concept of a Superfood is highly questionable since a healthy whole food diet is all about variety, balance and moderation. Thus, the concept of a Superfood in nutrition is an oxymoron, and in reality is just a money making marketing tool of natural health sites. Raw milk food faddists like to brag about a "Milk Cure." Contrary to their claims, the Mayo Clinic in Rochester, MN never administered any such cure. Rather, the "Milk Cure" was a piece that was published in the Certified Milk Magazine, in January 1929, which reportedly alleged obtaining favorable results for a wide range of illnesses including cancer, weight loss, kidney disease, chronic fatigue, allergies, skin, urinary tract, and prostate problems. That is hardly proof of raw milk being a Superfood. One can only wonder why those faddists can NOT come up with more recent research published in more widely recognized health research journals, if there was any validity to their health claims. The Natural Health Perspective always advises people to follow the money. The demand for raw milk is mostly being created by publications, like the Certified Milk Magazine, and dairy farmers with a direct financial interest in the business of selling raw milk. Some groups are wildly, and irresponsibly, trashing the entire carbohydrate macronutrient, when Sugar and Refined-Grains are the only real problem areas that people should be watching out for. On the theme that certain foods should be eliminated from the diet because they are harmful: salt, fat, caffeine, carbohydrates, milk, beans, gluten, wheat and, the entire grain food group have been claimed by food faddists to be responsible for all sorts of ills, amongst the general population. If you keep at it long enough, you will find that food faddism advocates are suffering from some type of abnormal condition. Their claims that everyone should be avoiding these food items are a wild exaggeration of what can be supported by scientific research. Persons with high blood pressure, often knock salt. Persons with their cholesterol out of control, often knock all forms of fat. Advocates of 3+ liters of pure water a day, often have a health condition known as psychogenic polydipsia. They like to knock caffeine, as well as healthy 100% purple grape juice, green tea, and lemonade because these health drinks are NOT pure water. Obese persons suffering from Syndrome-X, often knock ALL carbohydrates. Persons who, for genetic reasons, cannot digest the casein milk protein often knock all dairy products. Persons with an abnormal fear of flatulence, often knock beans, legumes or pulses. Bacteria in the intestines feeds upon a sugar, called raffinose, found in beans causing gas. These people wrongly claim that beans cause digestion problems because of this gas. While beans, grains, and starches create higher levels of gas, ALL plant-based diets will create flatulence, since not everything is NOT completely digested. People who suffer from excess flatulence could very well be suffering from excess bacteria and a lack of the proper flora in their intestines. Furthermore, legumes are very healthy for you and are known as the fourth food group in the Cretan Mediterranean Diet. Persons suffering from genetic celiac disease knock wheat, and other grains. They often use the paleolithic diet as a cover for their food faddism. They even will point you towards published research to support their claims, which are little more than wildly speculative essays. The bigger picture of celiac food faddism. We can use celiac disease as an example of food faddism. Even though only one out of every hundred persons is reported to suffer from this genetic health condition, there are plenty of celiac food faddists on the Web who will try to convince any person suffering from any type of a health problem to go on an anti-gluten diet, as if it were some type of a fad health diet. The bigger picture is that an anti-gluten diet wont help anybody unless they happen to suffer from celiac disease, which is 100% due to genetics. The bigger picture says that genuine sufferers of celiac disease still age, and still have to deal with all the same lifestyle diseases, and dozens of other health conditions, like high-blood pressure, just like everybody else has to. An anti-gluten diet is positively NOT a magic bullet for lifestyle diseases, even though the celiac disease zealots do a very convincing job of saying otherwise. Life is a struggle. Not all areas of nutrition are easy to grasp or figure out. The health concerns of these food faddists simply do not adversely affect most people, in general. When it comes to genetic based health conditions, like celiac disease, everybody's genetics are different. While some people are adversely affected, most of us are NOT. People truly suffering from some type of food intolerance generally will likewise be suffering from life long digestive problems. Anybody with any doubts whatsoever should get himself, or herself, checked out by a good doctor of functional medicine in order to find out one way or the other whether they are suffering from some type of a food allergy or sensitivity. At the very least, you should take an appropriate blood test. The bigger picture says that other non-genetic related health condition food faddists often take an extreme position to treat their primary health problem, as if there are absolutely no other health conditions or lifestyle disease issues to be concerned about. For example, Dean Ornish treats his heart disease patients with an extremely low-fat diet, which comes just about as close as you can get to a zero-fat diet. While perhaps anybody who has experienced a heart attack needs to make a radical lifestyle change overnight, such an extremely low-fat diet will eventually produce very negative health consequences, particularly with anybody who really is NOT suffering from serious heart disease. In Conclusion: Food faddists have a right to be concerned about these issues. What is wrong with food faddism is their extremist position. From the Natural Health Perspective good health is about achieving a proper balance in five areas: diet, nutritional supplements, exercise, attitude, and resilience. Food faddism is NOT about taking a moderate approach. The lives of food faddists are out of balance due to their extremist positions that good health is ONLY about their pet issues. For example, it would NOT do you any good to take all day to drink the perfect amount of perfectly pure water, if the rest of your life is totally out of balance. You would be better off taking a reasonable amount of time to drink a reasonable amount of water so that you could also work on a dozen other aspects of your life. Drinking enough water is important, but so are a thousand other things. You should always be careful in all your health endeavors to never take any one aspect of your health program to an extreme position. Every good thing should be done in moderation.